Our product is a flash LiDAR camera module that generates a high confidence point cloud. The output includes the (x, y, z) coordinates of the distance measured at each pixel, tagged with a quality of result (QoR) that provides an assessment of the reliability of the measurement. In addition, it can provide speed, intensity, and motion calculated for each pixel. The camera module includes the illumination sources, the drivers, and a System on a Chip (SoC) in standard CMOS technology . The SoC includes the array of single-photon sensitive detectors/sensors (>10’000px), the ASIC (Application Specific Integrated Circuit) to pre-process the image information rendering it immediately actionable. 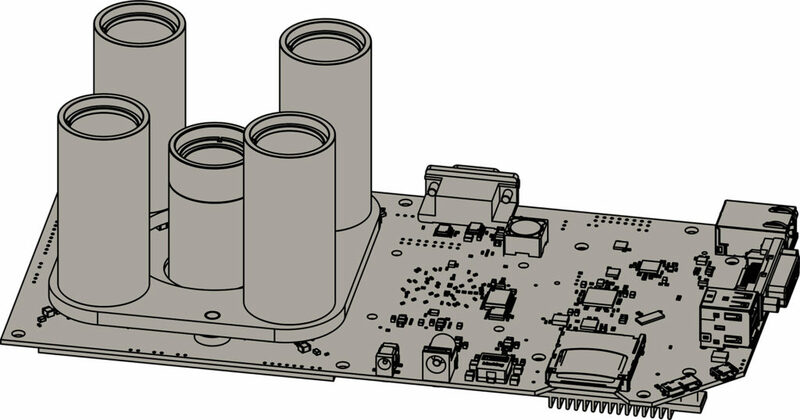 Our first release will be a Hardware Development Kit (HDK), designed to facilitate the development of applications. It will be used by partners to tailor the system performance to their specific applications. ELIMINATING FALSE DETECTION. Reduce false negative and false positive detections. Our sensors provide direct reliability quantification of each distance measurement you performed. MINIMIZE LATENCY. A high frame-rate is not enough. Analysis of raw-data from multiple frames requires pipeline processing, resulting in high latency which introduces a “blind time” of several hundreds of ms (up tens of meters at automotive driving speed). 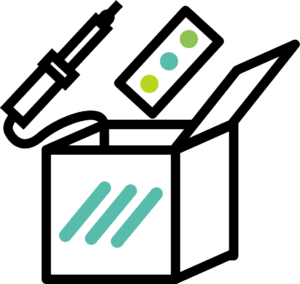 To minimize the detection-reaction time, our sensors implement edge processing, bringing the computation into the detector itself using a System-on-Chip (SoC) approach. INTELLIGENCE. The camera has different operating modes (distance, speed, motion, or intensity), or execute filtering based on threshold or alarm limits. Additional edge computing can be performed to improve sensor fusion. AFFORDABLE TECHNOLOGY. The simplest design (flash, no scanning), in standard CMOS technology to leverage the economy of scale of consumer electronics. Interested in our vision systems? 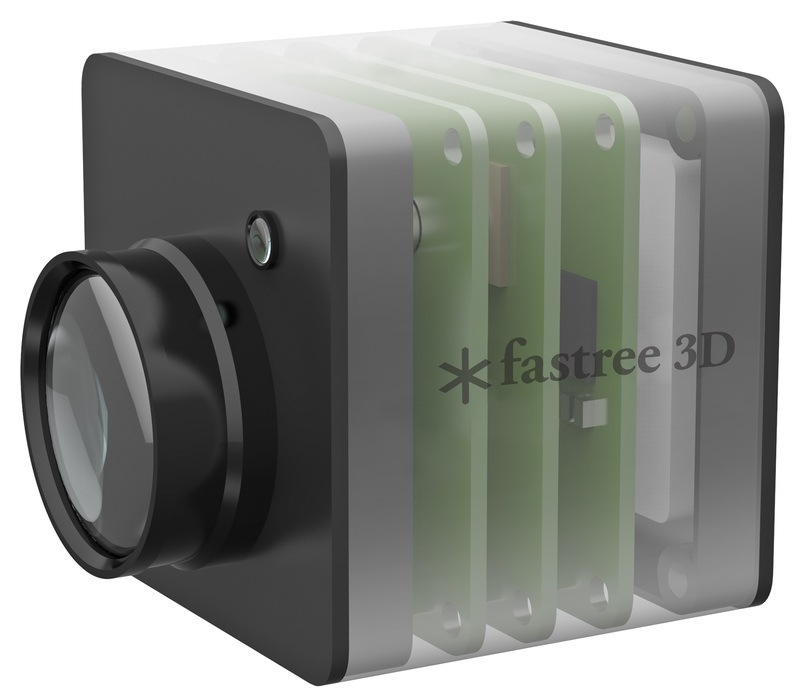 Fastree3D imagers are flash LiDARs (Light Detection And Ranging) based on direct time of flight technology. The distance to objects is determined by measuring the time taken for a light pulse to travel from the imager to the object and back again. The on-board illumination module generates light pulses that illuminate the entire scene at once, like in conventional photography, without the need for any scanning/rotational optics. Our proprietary, CMOS-based sensor detects the reflected pulses and determines their time of arrival, thereby allowing the Digital Signal Processor, embedded in the System on Chip (SoC), to measure the Time-of-Flight (ToF) and consequently the distance. It’s that simple! Low latencies, high reliability and robustness define our imagers. These attributes are the consequences of our technological approaches. Our measurement technique (based on Time-Correlated Single-Photon Counting) enables the evaluation of a per pixel quality measurement, in real time. 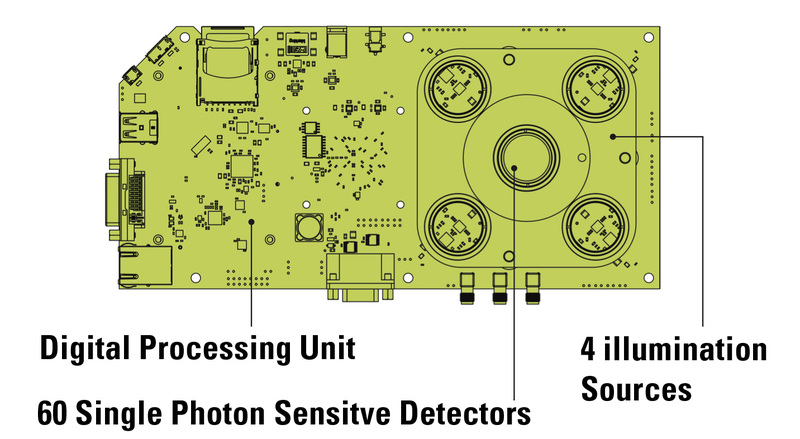 The single-photon sensitive detectors (SPADs) mark the digital nature of the sensor. In other words, simple, digital, fast. FAST ACQUISITION SPEED. To provide awareness we need to have a representative data sample of the situation. RELIABILITY ASSESSMENT. Each distance measurement performed by each pixel is provided with a quality of result. It is essential to trust in the data, they are driving the decision. FLEXIBLE OUTPUT. The camera offers multiple operating modes (distance, intensity, speed, motion). Choose on the fly the one that better helps to complete a task. These features derive from the technology choices and hardware implementations we chose. Conventional vision systems were developed around human needs (e.g. color sensitivity, resolution) and not those of automation. Even high-end sensors provide at most a distance measurement, and lack critical information required to avoid collisions. Machine vision can be improved with a high-confidence measurement of speed, direction and distance at low latency. SPATIAL AWARENESS: rapidly monitors distances and motion around the camera. TRUSTED INFORMATION: reliable measurements, even in adverse situations and with a confidence level assessment. INTELLIGENCE: adaptive system capable of selecting the best operating mode for a given condition. Our technology enables safer driving and autonomous navigation by continuously monitoring the surrounding space, avoiding collisions by measuring the distance to objects with high confidence. Improve safety and productivity in your warehouses with our camera technology to provide forklifts and AGVs with 3D spatial awareness. Get the most out of human-robot collaboration guaranteeing safe interaction: enable small customized batch manufacturing at the price of mass production. provide you with the knowledge you need to determine whether our or another 3D vision solution is right for you. Design solutions around your application tailoring our technology at its best. Contact us for more info/quotes. You have in mind several problems but you do not know which to tackle first? You are interested to know which one our technology would be better solving? We offer joint feasibility studies to investigate your application and your challenges. We developed a software to simulate the performances of our technology in your specific conditions. Optimize your resource allocation focusing on the right problem straight away. Do you want to design new automation possibilities, guide the mobility revolution, or transform safety on your factory floor? Do you want to lead these transformations with a new generation of products and solutions which will make you stand out from the competition? The Hardware Development Kit (HDK) is the platform to explore the new possibilities of Fastree3D’s flash LiDAR technology. The HDK will be available to a limited number of partners. Contact us if you are interested in application development.